We have been coming to St. Kitts and Nevis for the last 10 years. We love the country and have always wanted to do something for them. We found out about Pack for a Purpose last year after we were already home so we started planning for the next year. I’m a teacher so school supplies seemed like a great match for us. 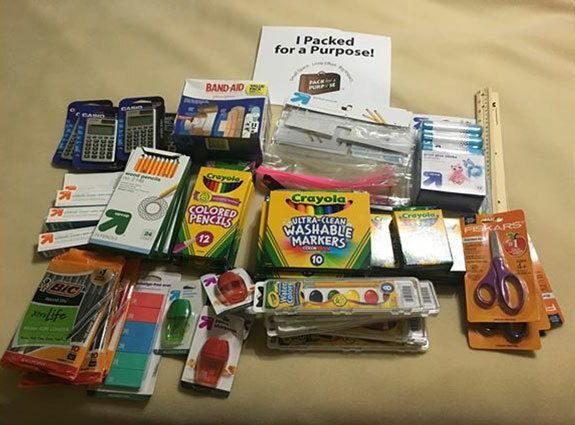 I looked at the supply list and got enough supplies for at least 5 students. Glenn thought of some first aid supplies that would be needed. We contacted Marty from Ottley’s Plantation when we got to St. Kitts and went there to deliver the supplies. We also ate a wonderful lunch and had a nice conversation with Marty. We will definitely bring more supplies the next time we come.